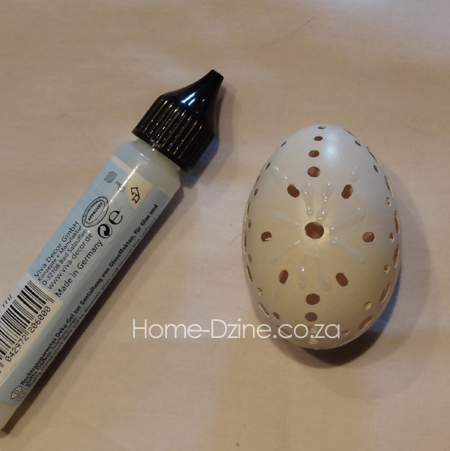 I have previously featured on lace eggs but this time I want to do Easter eggs with a lace design. Although, having made these I think I will put them on permanent display somewhere ! 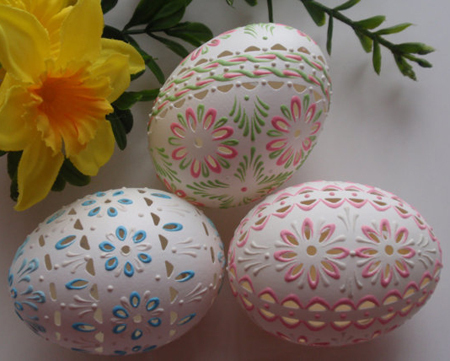 One day, in the not too distant future, I hope to make beautiful lace eggs like the ones shown above. For now I'm quite happy with practicing my skills and learning how to do finer details. 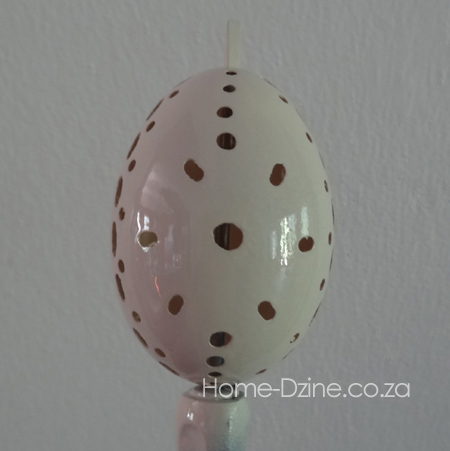 Lace eggs are deceptively easy to make after a bit of practice, in fact, the hardest part of creating lace eggs is getting the initial design right. 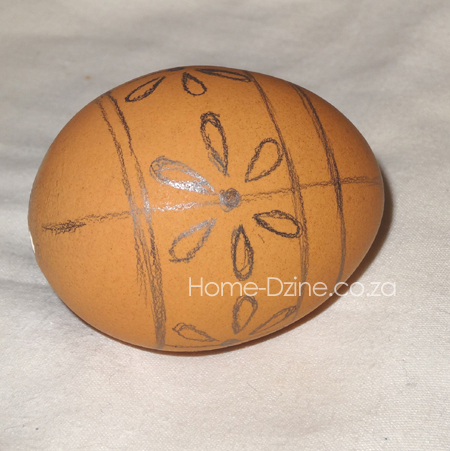 It's not easy trying to draw a design onto an egg. 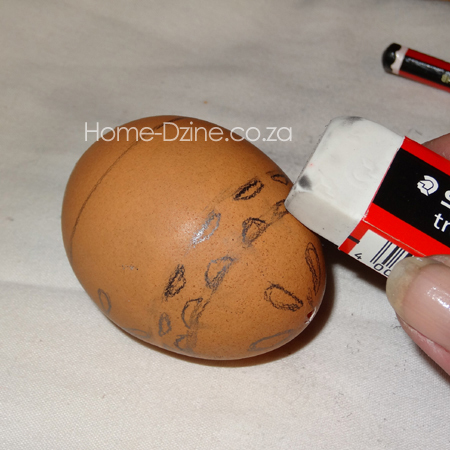 Use a very soft pencil that will be easy to erase if you do make a boo boo. To cut out my design I am using my Dremel 4000, which comes with a Flexi Shaft, and a #106 Engraving Cutter. You can use any Dremel MultiTool if it has the Flexi Shaft, but I bought the 4000 because it's powerful and I use my Dremel MultiTool a lot. 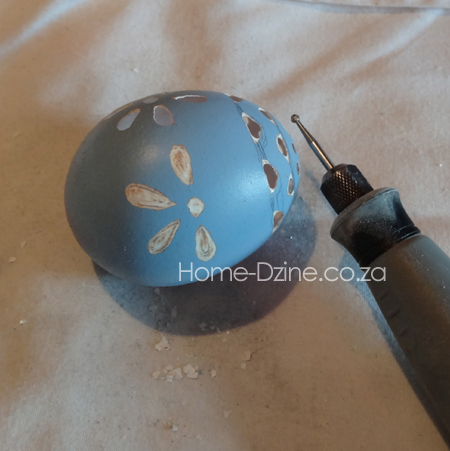 It's far easier to work with the Flexi Shaft than have to hold the multitool itself, plus it allows you to be far more delicate and not worry about breaking the eggshell. 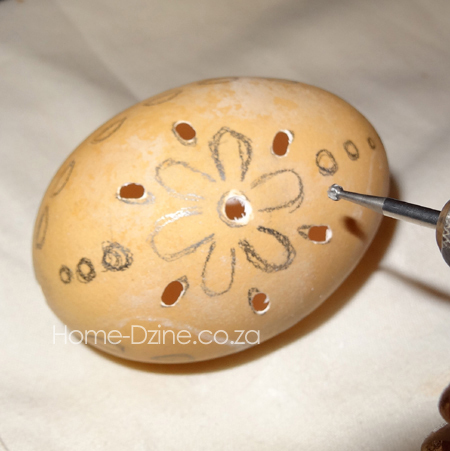 Place the egg on a soft cloth and apply light, even strokes on the area you want to cut out until the shell softens and you can push the engraving bit right through. 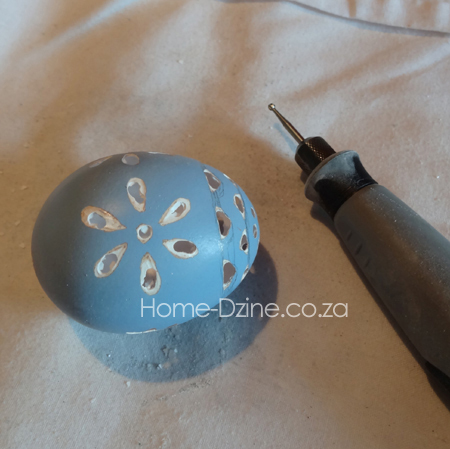 As you apply a light pressure onto the area you will see that it goes white, which means you are removing layers of shell. 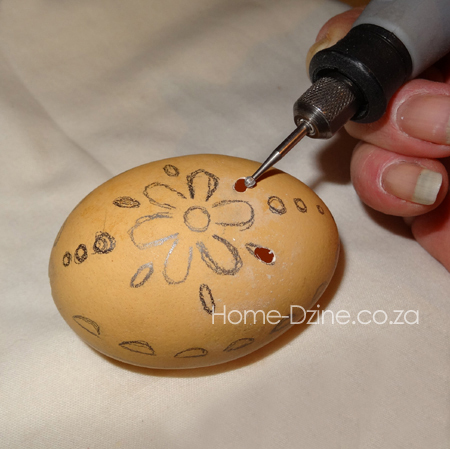 Eventually the shell softens and you can gently push the engraving tip through. Once you have an opening you can then use the engraving bit to enlarge the hole or give it a shape. 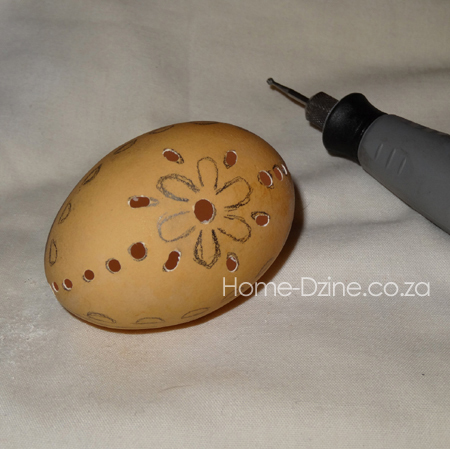 The front of the eggshell is finished and now I am going to add detail around the outside oval. 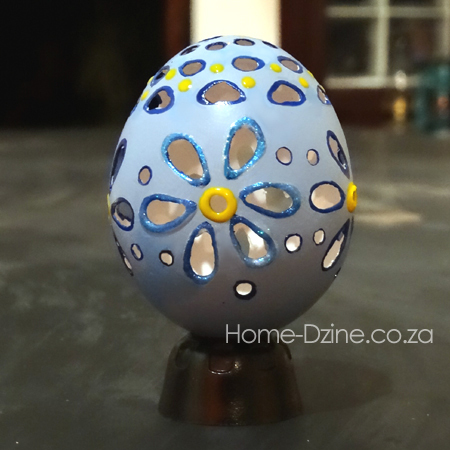 I spray painted the egg with Rust-Oleum 2X heritage white. 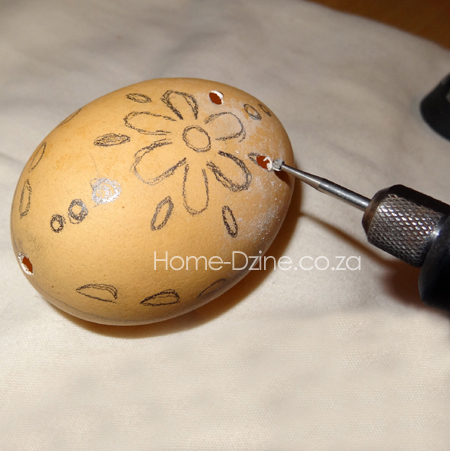 The egg is supported on a screwdriver so that I can paint all the way around. To finish off, I added some detail with an outline pen. 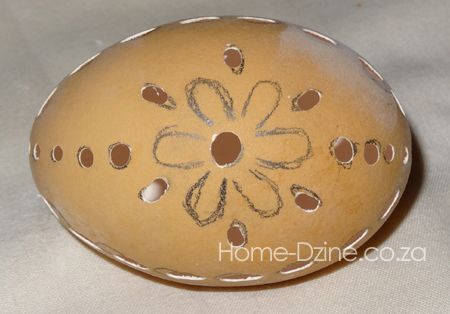 Here's another lace egg design, but with this one I drew my design onto the egg first and then rubbed out my guide lines. 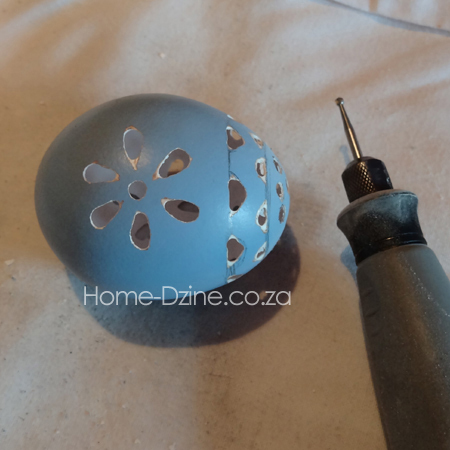 After rubbing out the lines not part of the design, I spray the egg with Rust-Oleum 2X spray paint and let this dry before using my engraving bit to lightly outline my design. You can see that the white parts shown below are lightly engraved. 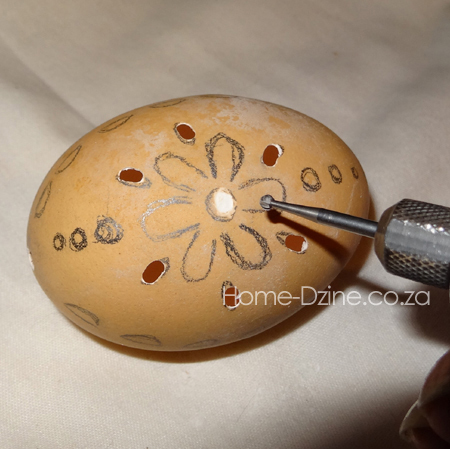 As with my first lace egg I gently ran the bit over the area to be removed - just until the surface started to break. 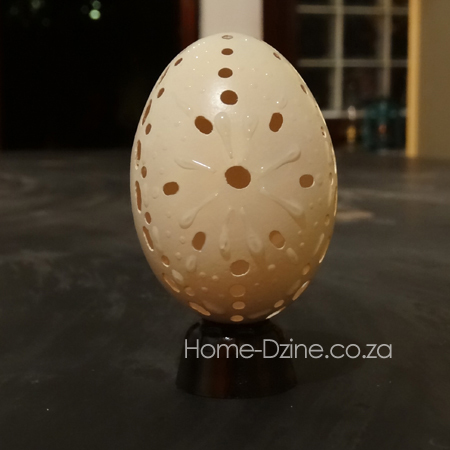 After breaking through the shell I gently shaped the area with the engraving bit.